Home » kale.healthy living » orange trees » urban farmers » URBAN FARMERS...WELL KINDA. 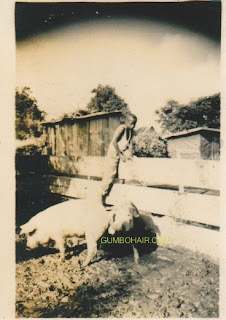 When my grandfather started living with us he helped us get our urban farm on. He's a mathematician as well who taught for over 36 years, yet he seemed more proud to tell you that he also was an "Ag" man aka agriculture. He used to tell us many stories about how they were able to survive the Depression because everyone in his area was self sufficient. They grew most of there food and had a well in the backyard to draw water from. As long as I can remember my grandparents had veggies/fruits growing in the yard. My great aunt Stella & uncle Homer had beaucoup apple and fig trees in the yard. 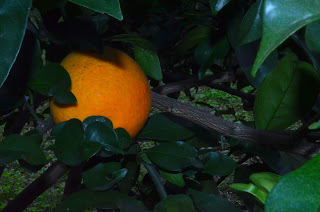 It was like a mini orchard on an acre of land. I really miss those days...previous heirs sold the land but I hear the land is still producing much fruit. The pics above are actual pictures of my ancestor's "urban" farm. I recently found these pictures in my grandfather's keepsake book. I felt so blessed to find such rich history...so glad grandpa keeps everything. Well, with this stock running through our blood it was only natural that we would get the urban farmer bug. Thanks to grandpa we actually started a few different backyard gardens over the past 5 years. Unfortunately, this year we didn't have grandpa to water and take care of our garden so we started on a smaller scale this year. 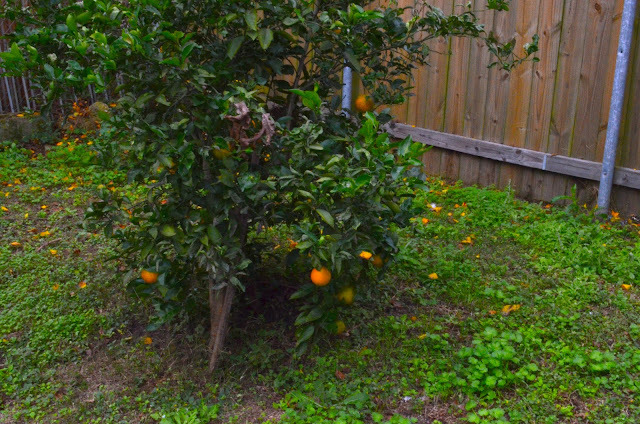 So far, we have oranges finally coming in on our orange trees as well as some lemons. 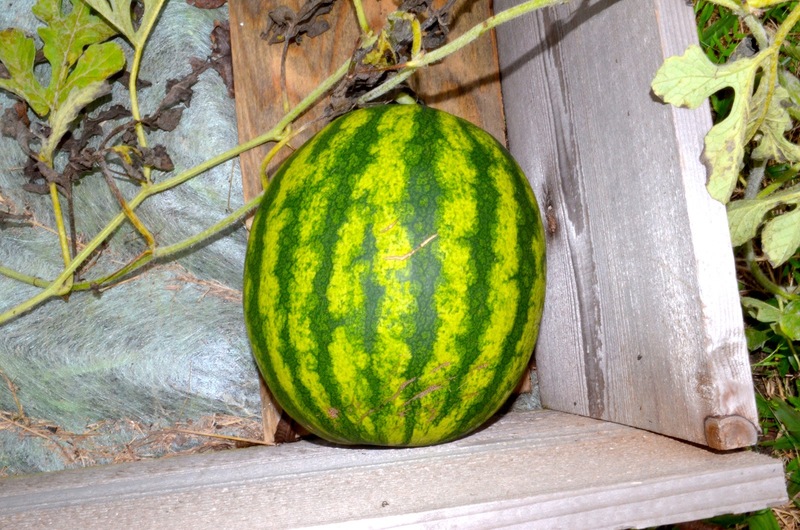 My green thumb husband took some watermelon seeds from a watermelon and planted them in the yard a few months ago. Well, low and behold watermelon started popping up every where even in our neighbors yard. 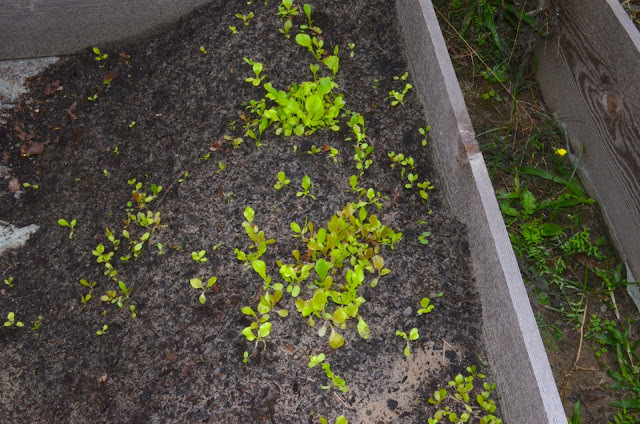 I planted an heirloom lettuce rocky top mix that is coming in nicely so far. We should have a nice salad mix for the next couple of months. I also plan to plant collard greens and kale next week. I will keep you posted. 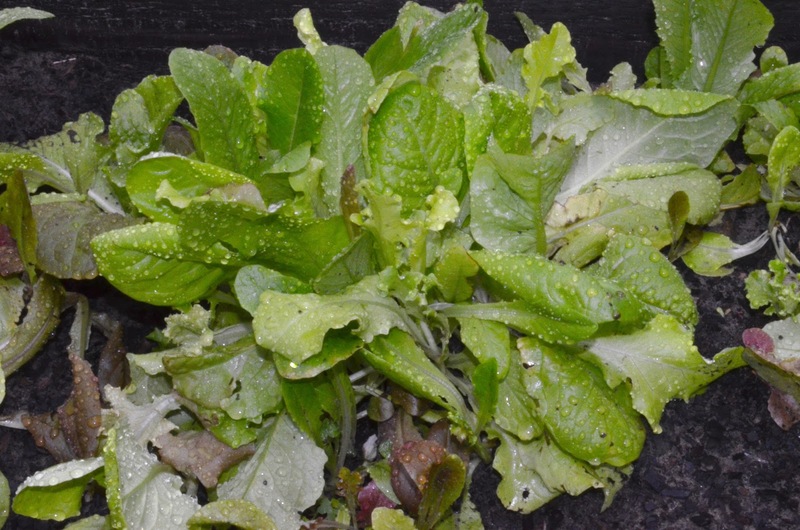 up close of lettuce mix 4-5 weeks later. We have a few farmers markets in our area that have reasonable prices for quality produce you just can't get in the grocery store. 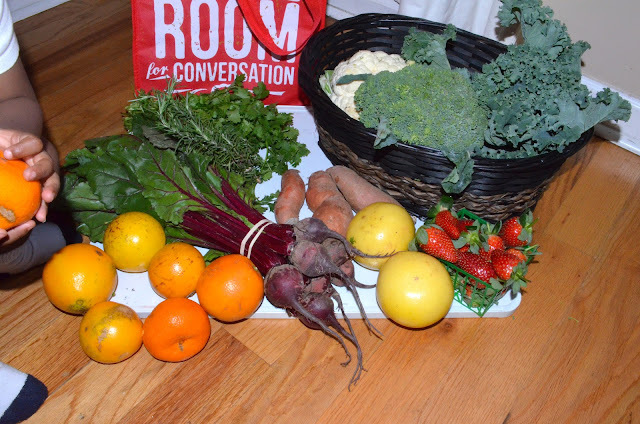 I got the above fruits/veggies for $25. This week I will make beets salad, fresh orange juice, strawberry smoothies, bake sweet potatoes, kale chips and steam broccoli/cauliflower. 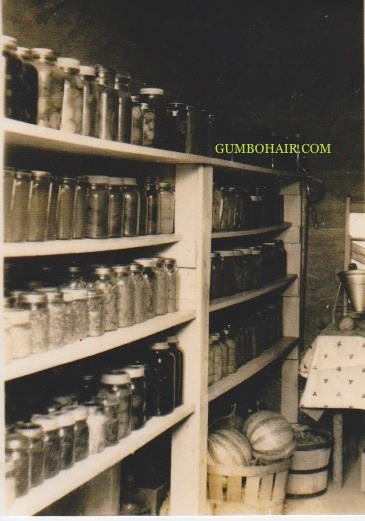 So what fresh food will you be eating this week? Wow, I envy that you can grow oranges and figs in your garden. In Chicago, I guess I have to settle with apple and pear trees. I've grown collards, swiss chard, broccoli, tomatoes, green peppers, onions, hot peppers and that's about it. I still have a little broccoli growing in my garden in DECEMBER. The plant is not dead yet. Can we say global warming. I agree with you completely!! That's a nice size list Lady...since Grandpa is home again I haven't had any luck with growing tomatoes. I love cherry tomatoes...maybe I will order some plants online this year instead of trying to start with seeds. Did you start with seeds?or plants? We're gonna have to link when I move down!